What St. Michael’s Means to Us!! 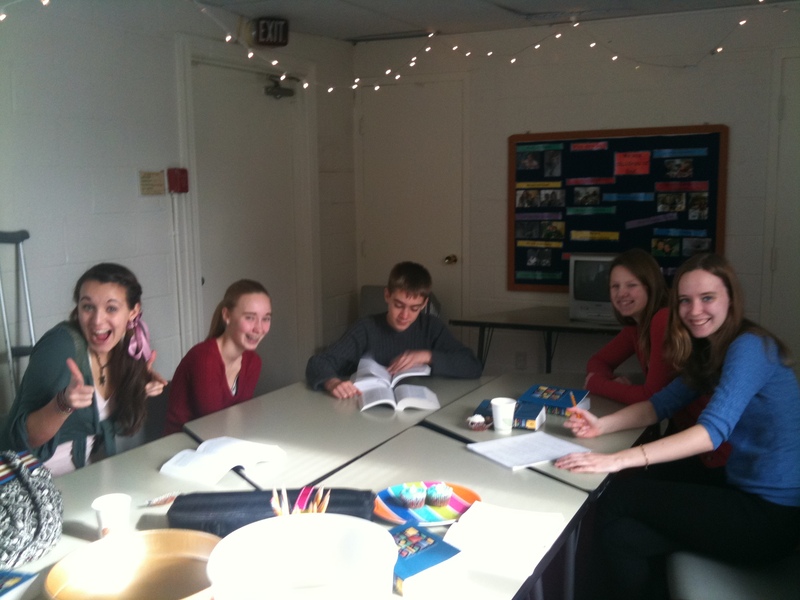 Haley, Helen, Grayson, Anne, and Madeleine, members of the 7th-12th grade Sunday school class, work on their blog post. The students all grew up at St. Michael's. When asked to describe what St. Michael's means to them for Open Mike, they came up with this acrostic poem. 1 Response to What St. Michael’s Means to Us!! Well, it is indeed the coolest Sunday School class ever! These are favorite things of mine at St. Michael’s too!